The Australian health insurance industry was setup by the government so anyone could receive health care in a similar scheme to Obamacare in the USA. With anyone being able to receive health insurance the system had to be setup to protect itself from individuals waiting until they are sick/injured to get covered which is why ‘waiting periods’ were introduced. These waiting periods are quite similar for all the Australian health policies and also exist for all 457 visa health insurance. 457 visa health funds require individuals to provide information regarding illness, ailments or disabilities of themselves or any other family members they will put on the plan. This information includes medical treatment received recently (often over the past 6 months) and any hospital treatment received over the past 3 years. Based on this information the health the insurer will make an assessment any can impose a waiting period on benefits for the treatment of this pre-existing injury. This can be up to 12 months. For a 457 visa health cover policy it’s also important to check if you will be covered for this pre-existing condition which you may want in writing. Most 457 visa health cover policies have no waiting periods on accidents that lead to claims or require an ambulance to be used for transport to a hospital. An example would be a 457 visa holder who breaks their leg while playing sport. As this injury was unforeseen and is unrelated to any pre-existing injury the individual would receive the 457 visa health cover they are entitled to. This is the most discussed waiting period and unfortunately for many Australian’s and 457 visa holders the least understood one. Waiting periods existing on all Australian health insurance policies and in almost all cases it’s 12 months. This means that you must have 457 visa health insurance cover for 12 months before you can make a maternity related claim. If your planning on having a child, you should ensure you have the right 457 visa health cover policy 3 – 6 months prior to conceiving. As most women take 9 months before they conceive, this will ensure that when you do need to go to a hospital you are covered. It’s worth noting that some children are premature so you really should factor this and allow ‘breathing room’ between when you commenced the suitable 457 visa medical insurance policy and when the baby is due. There are many elements that may require hospitalisation outside of those that are accidental injury related. A few good examples could be a stroke or heart attack that are unforeseen and don’t relate to any previous medical history you have. In these cases waiting periods can differ by health funds but generally they are quite short. For IMAN they are two months after which you are covered under your 457 visa health cover policy. 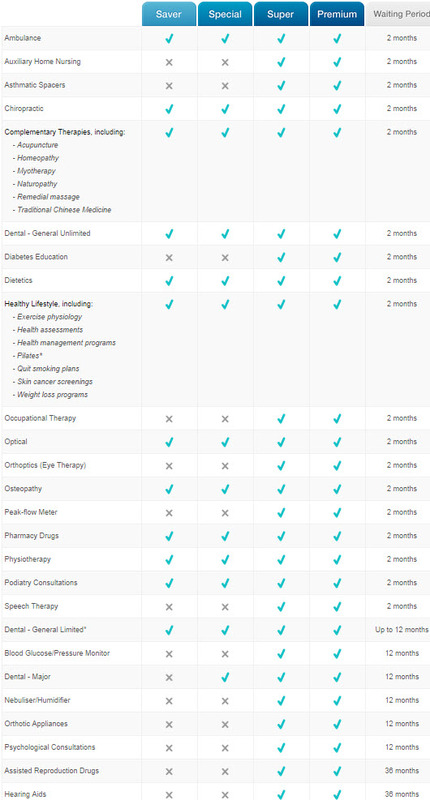 These niche services also have quite waiting periods by most 457 visa health insurance policies (often just 2 months). Once again, these can’t relate to any previous medical condition otherwise the waiting periods may be lengthened. Let Your Health Fund Know Your Pre-Existing Injuries! When you join a 457 visa health fund you need to alert them to any pre-existing injuries that you may have. You should always be truthful in these forms because if you are then treated in Australia the doctor may be asked by your 457 visa medical fund if the injury was pre-existing. If they answer yes it may mean you will receive no payout and further penalties may apply. A really useful guide was made by HIF which shows all the elements that you may claim and what the waiting periods are. As you will see most are between 2 and 12 months although hearing aids and assisted reproduction drugs are 36 months.